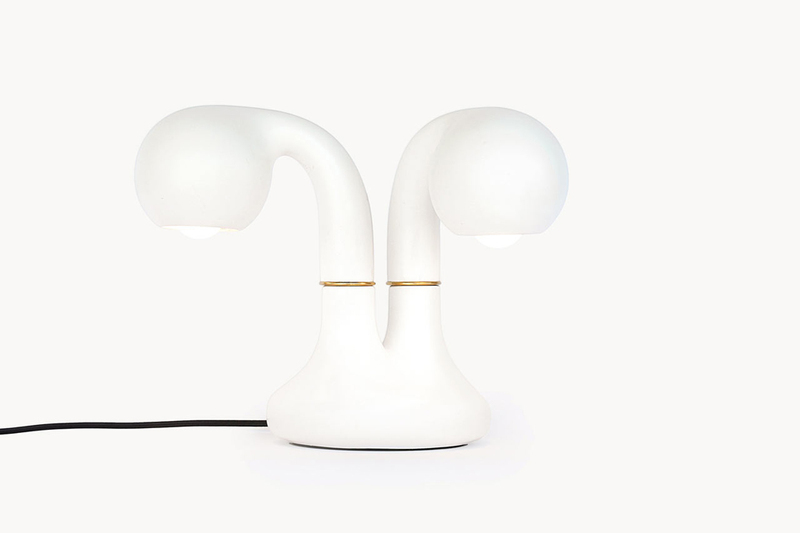 Based in Los Angeles’ Echo Park, design studio ENTLER recently launched a lighting collection made from ceramic. 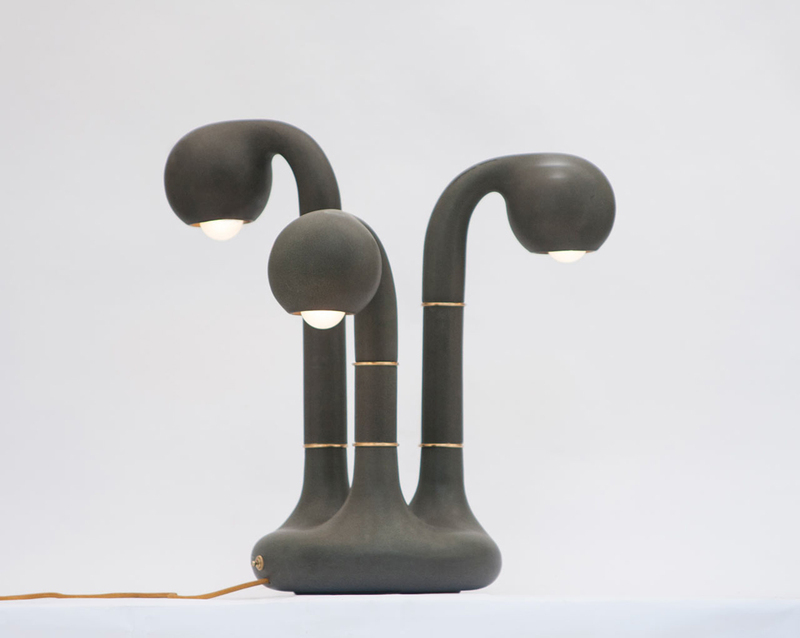 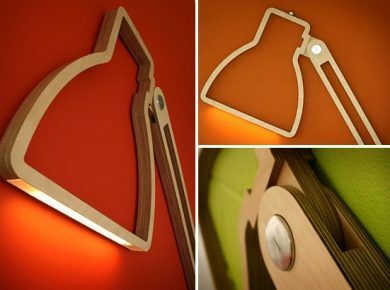 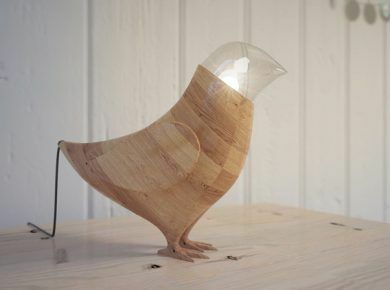 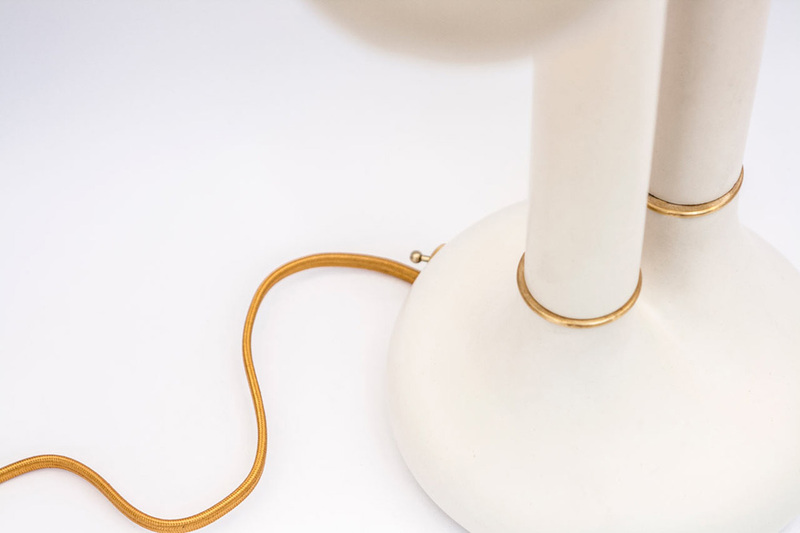 The unique lamps begin as hand-modeled forms built by Jonathan ENTLER, a process that involves working with the natural material’s properties. 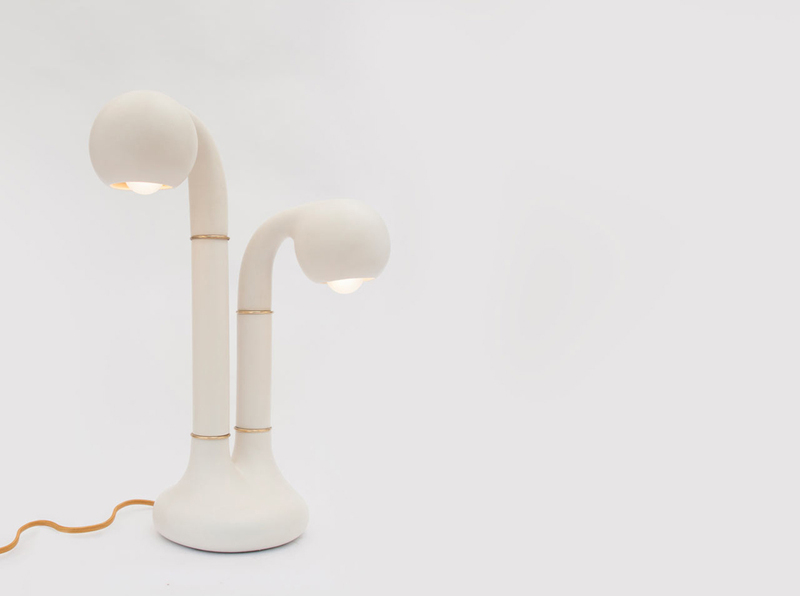 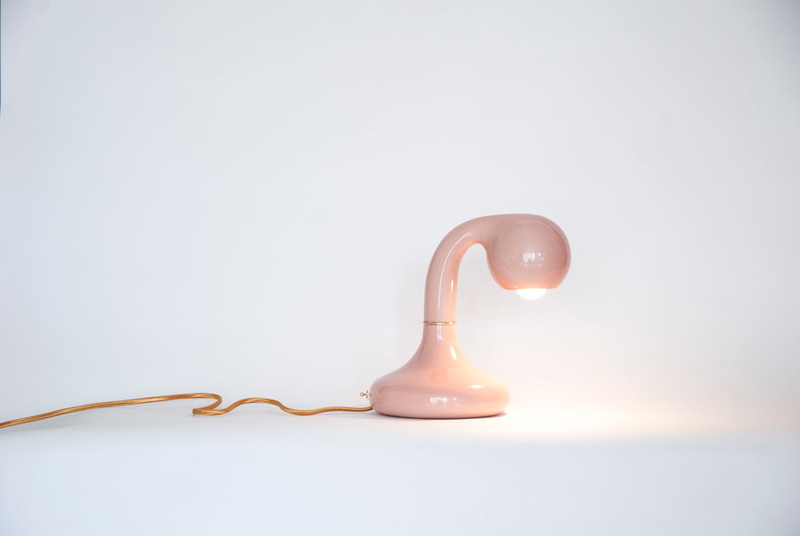 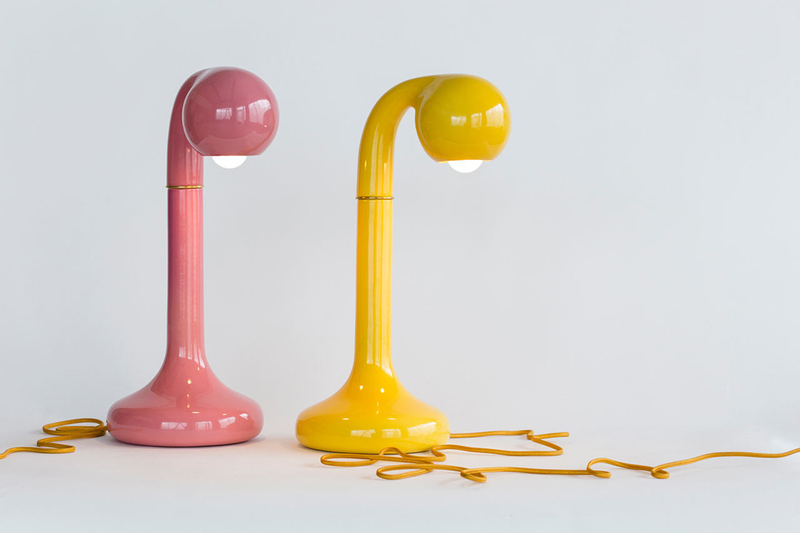 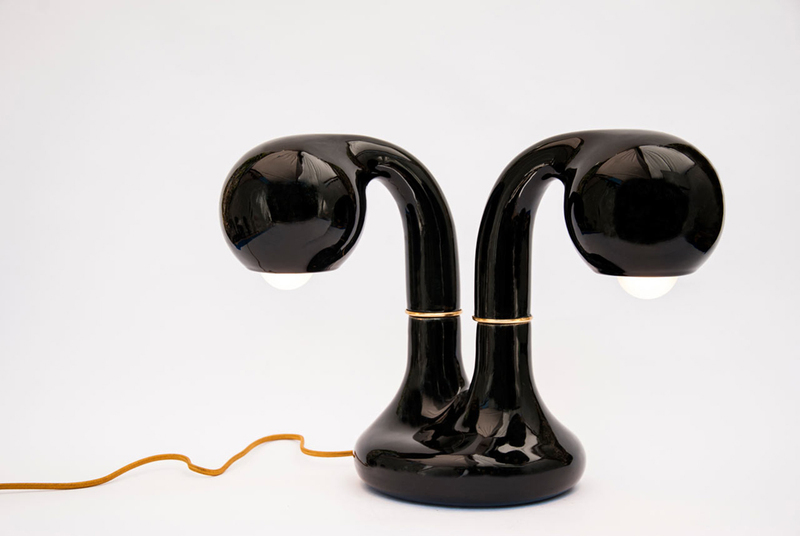 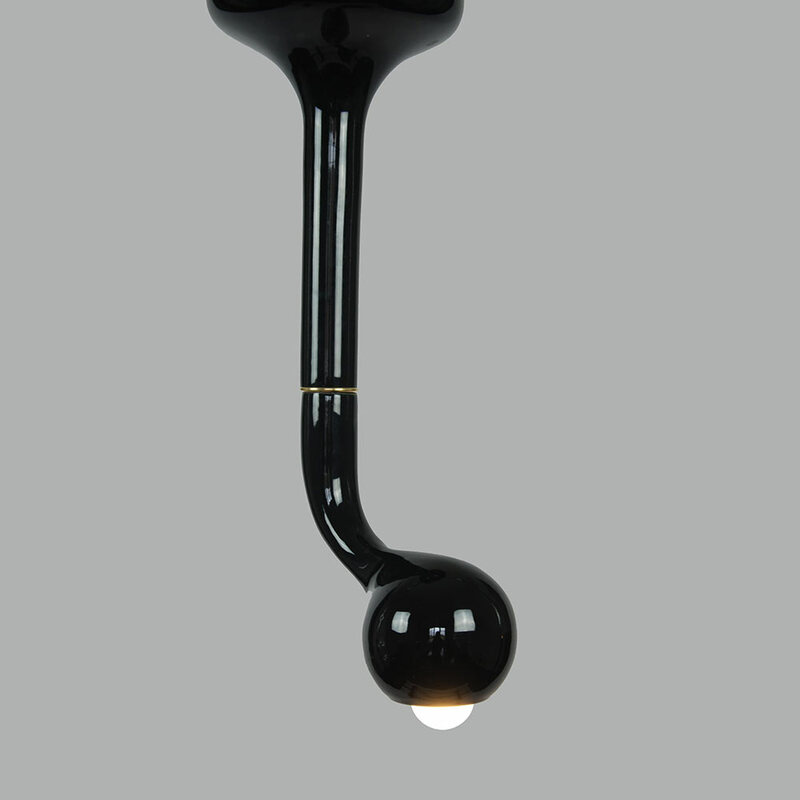 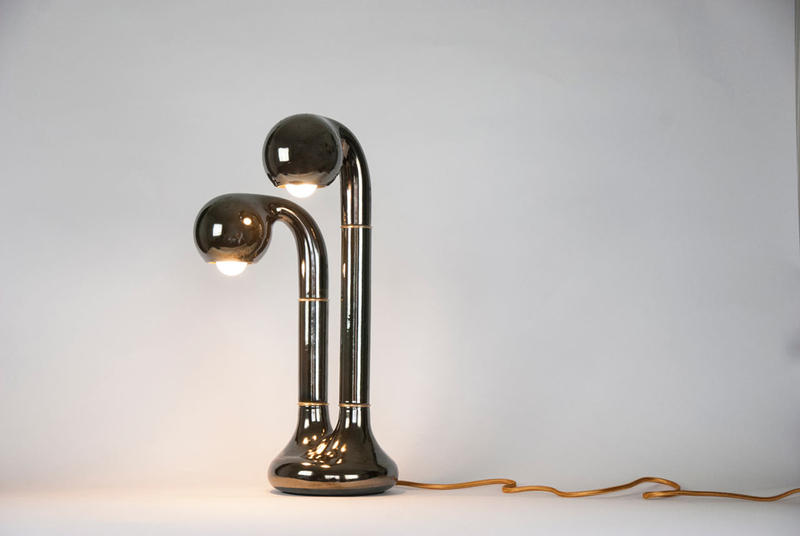 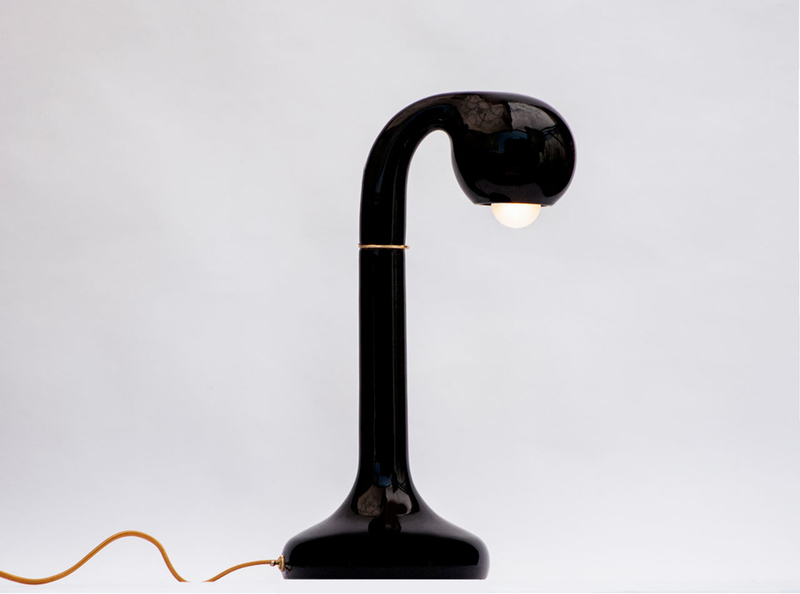 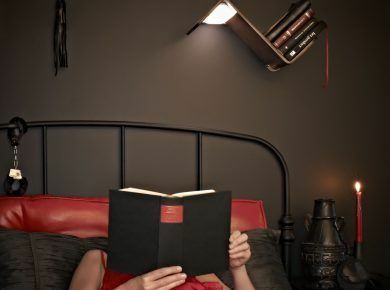 Once formed, the lamps emerge from a custom-engineered casting process. 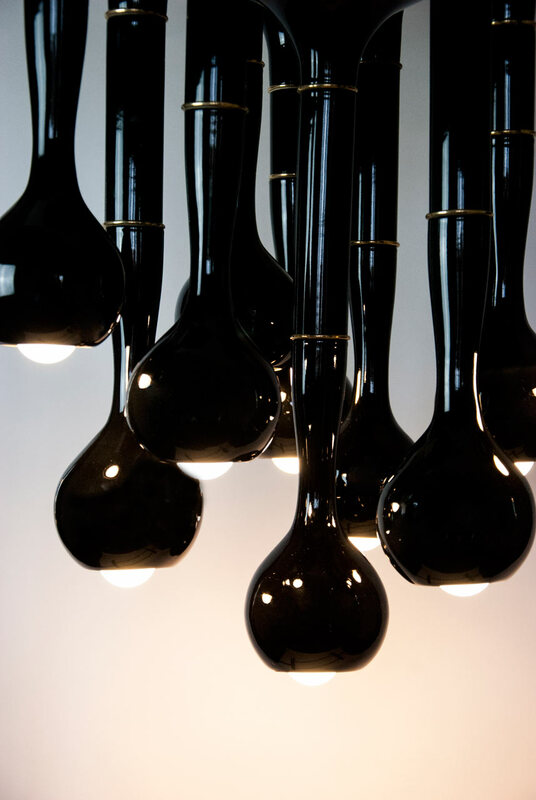 They almost look like wilting plants or some kind of one-eyed creature looking down. 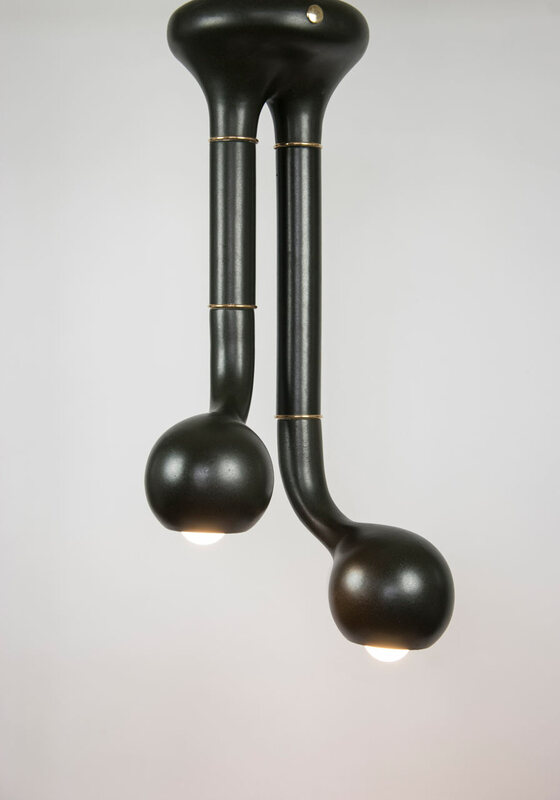 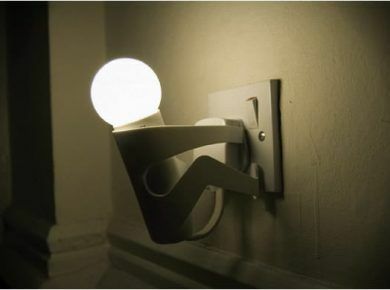 Besides the table lamps, there are hanging lamps as well.